Bliss Street, it’s been a long time. 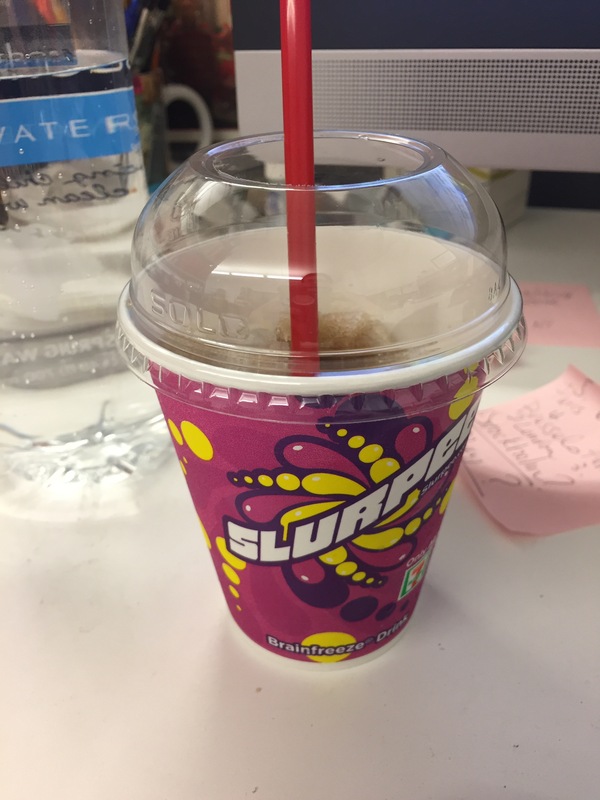 Alas, I’m still eating solo, but I needed to get away, due to an argument at work about the air conditioning. David, Virginia and I like the cold; Julia and Lena do not. I need not to get more aspirated with anger. At Riko’s, one is never angry. Yes, there’s no cold air here (muy caliente! ), but the sangria is working its magic upon me. 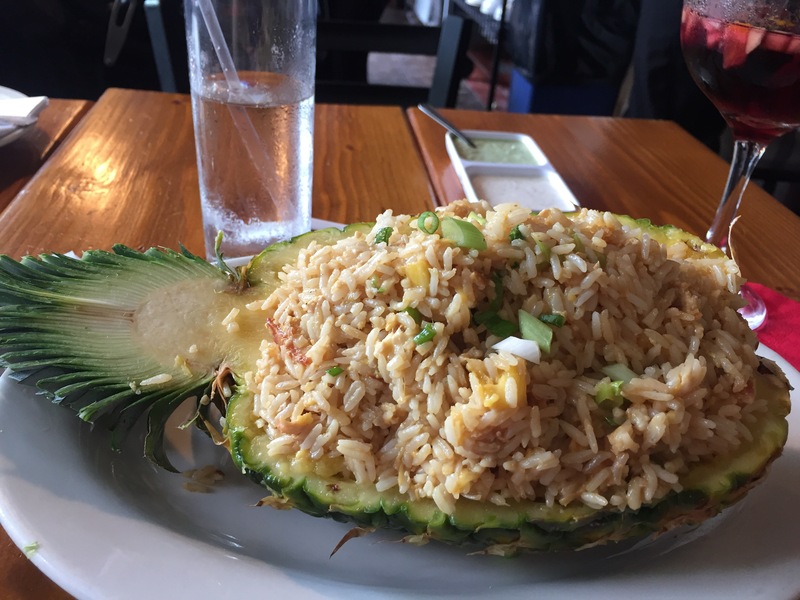 And…the Peruvian pineapple fried rice! Rice, pineapple, chicken, shrimp, scallions, spices, all inside a hollowed-out pineapple shell. This was paradise. I didn’t care that the back of my knees were sweating, it was a great lunch! The newborn baby at the next table even started to coo…and the new waiter was fabulous.